Have you requested an iPhone Operator Check from doctorSIM and looking for information on how to understand the report you’ve received? The iPhone Operator Check will tell you to which network carrier your iPhone is currently locked. 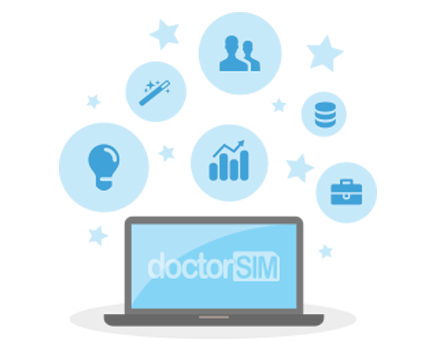 Once you have that information, you can unlock your iPhone with full guarantees at doctorSIM so you can use it on any network in the world. 2. - Which section tells me to which network my iPhone is locked? 3. - What does EMEA Service mean? 4. - What does UK Reseller Flex Policy mean? 5. - What does US Reseller Flex Policy mean? 6. - My iPhone is from Chile and it says Country Unlocked on the report. IMEI: the International Mobile Equipment Identity (IMEI) is a unique 15-17 digit number given to every phone which can then be used to check information such as the phone's country of origin, the manufacturer and its model number. Service Policy Product Version: product version. Next Tether Policy ID: numeric ID associated with the current locking policy. The section which tells you to which network your iPhone is currently locked is “Next Tether Activation Policy Description”. Either Unlocked, Unlocked Policy or Multimode Unlock mean the iPhone is unlocked. The country of origin will also be included in this section because some network carriers are available in multiple countries. T-Mobile US is not the same as T-Mobile UK. Although they share the same name on an international scale, they are located in different countries and are not the same company. Make sure you select the correct network carrier when processing your unlocking request. If the network carrier listed is unfamiliar to you, contact us to confirm your iPhone can be unlocked. If under Next Tether Activation Policy Description you see "EMEA Service" it means your iPhone has been locked to carriers in Europe, the Middle East or Africa. EMEA Service is usually given to iPhones that have been replaced under warranty by Apple technical support. Therefore, you can activate your iPhone with the EMEA network carrier of your choice. If already activated and you wish to unlock your iPhone, select Spain (Country), one of the following network carriers (Movistar, Orange or Yoigo) and then our Premium Service. These unlock services also unlock iPhones purchased under EMEA Service conditions. If under Next Tether Activation Policy Description you see UK Reseller Flex Policy it means your iPhone is not locked to any UK network, however, it will lock to the network of the first SIM card inserted. If you want to unlock your iPhone to use on any network in the world, having activated it on the UK network of your choice, you can do so by indicating that particular network when making your unlocking request. However, we recommend confirming this information with us beforehand. As the iPhone can only be used on UK network carriers initially, you’ll want to activate the iPhone with a SIM card belonging to the network you plan to use it on. If under Next Tether Activation Policy Description you see US Reseller Flex Policy it means your iPhone is not locked to any US network, however, it will lock to the network of the first SIM card inserted. If you want to unlock your iPhone to use on any network in the world, having activated it on the US network of your choice, you can do so by indicating that particular network when making your unlocking request. However, we recommend confirming this information with us beforehand. As the iPhone can only be used on US network carriers initially, you'll want to activate the iPhone with a SIM card belonging to the network you plan to use it on. All iPhones from Chile (Movistar, Entel, and Claro) are Country Unlocked. This means you can use your iPhone with any network carrier in the country but will need to unlock it if you want to use it abroad. It is important to note that if your iPhone has been reported by the original operator due to loss, theft or unpaid bill, no unlocking service can remove it from the blacklist. If this is the reason you cannot use your iPhone in Chile, you will need to contact the original operator for assistance.